Recently Perspectivity renewed its contact with Hubert Hermans, a retired Psychology Professor, who was a keynote speaker at a Network Event in the early days of Perspectivity. 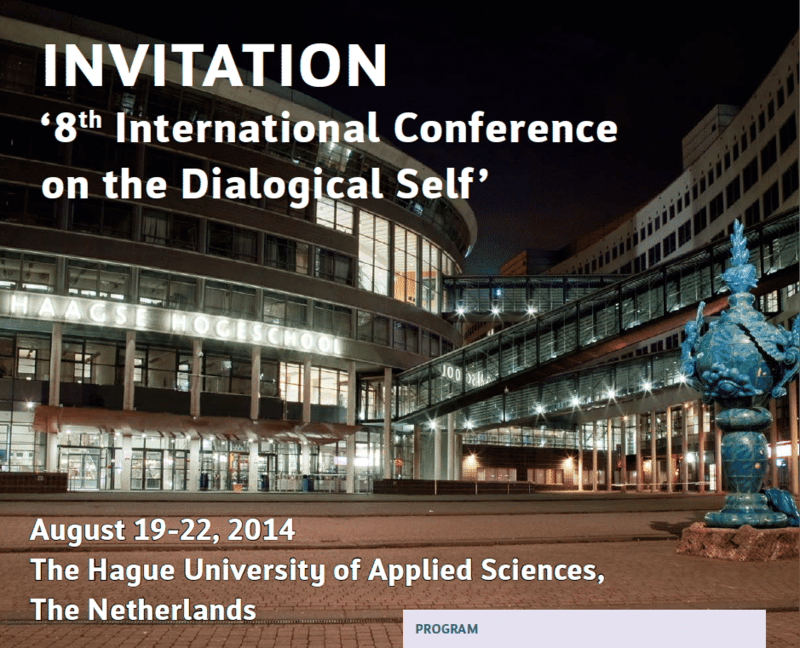 Hermans invited us to present Perspectivity on the 8th international Conference on the Dialogical Self in The Hague, which will take place on August 19-22. Charlotte Keijzer and Michiel Damoiseaux made proposals for two workshops, called “The Perspectivity Game and the practitioners field of Dialogic Systems” and “An alternative approach of conflict resolution: a practical way to multi-positionality”. Both proposals have been approved. Read more in the conference flyer (PDF) with the possibility of early bird registration.